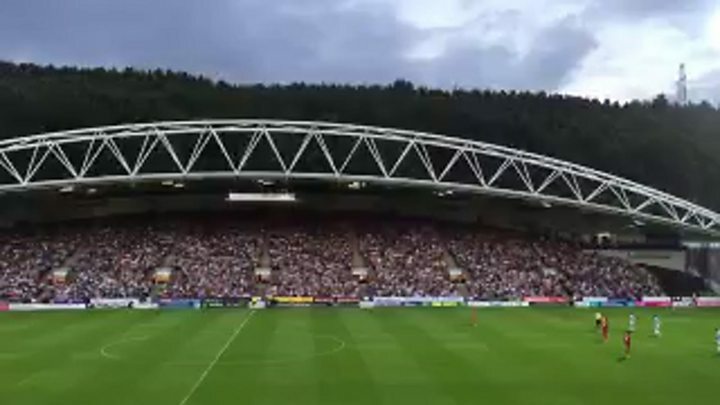 A man has been arrested after a drone was flown over Huddersfield Town's home game against Liverpool FC. The gadget was spotted hovering above the John Smith's Stadium on Wednesday evening. Police were called to investigate over fears for the players' safety. The pilot was identified and the drone seized. A 37-year-old man is in custody.